This painting was left to the City Art Gallery, Manchester, by Louisa Garrett (nee Wilkinson, sister-in-law to Elizabeth Garrett Anderson, Millicent Fawcett and Agnes Garrett. ‘Illusions’ would once have hung in Louisa’s home at Snape in Suffolk. Her house was named ‘Greenheys’ after the area of Manchester in which she and her sister, Fanny, grew up. 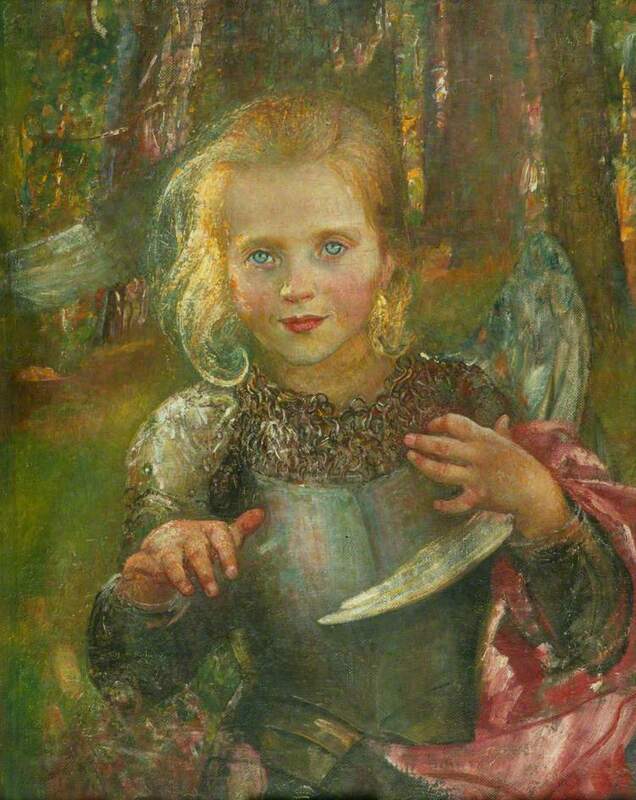 The way in which the Garrett circle did their best to ensure that Annie Swynnerton’s work was included in major public collections is discussed in my book – Enterprising Women: the Garretts and their circle- available online from Francis Boutle Publishers or from all good bookshops (in stock, for instance, at Foyles, Charing Cross Road). This entry was posted on July 22, 2013, 8:24 am and is filed under The Garretts and their Circle. You can follow any responses to this entry through RSS 2.0. You can leave a response, or trackback from your own site. Yes, think Louisa Garrett’s house at Snape must have been aglow with all these pictures.